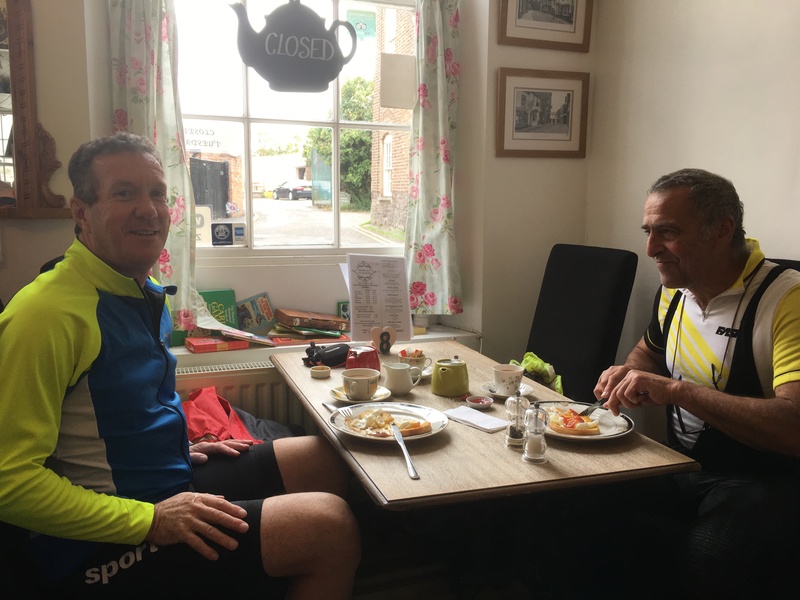 Only three riders made the start at the Choir Hall, and were joined by another two at the M48 Approach Road in Chepstow. 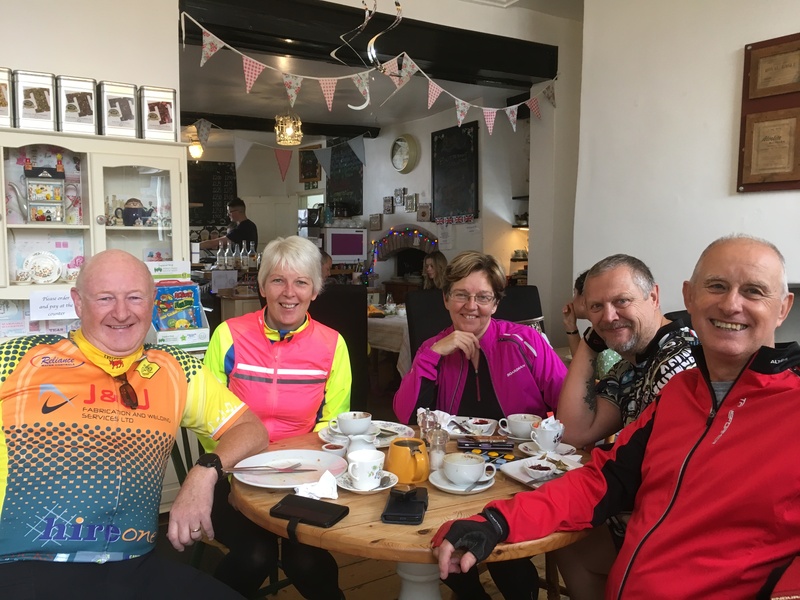 Passing lots of cyclists, and a group of Nordic Road-Skiing group along the quiet lanes to Berkeley, before stopping at the Tearooms for refreshments. Nice to bump into an old workmate, Paul Elder and also Gary Price and a mate from Chepstow Male Voice Choir there also. Soon it was back on the bikes for the long ride back to Caldicot.